Loved the main character Lt. Col Jake Gillean. The author did a great job of introducing the characters so you really felt like you knew who they were and what they were thinking. I liked how the book jumped between the present and past. The suspense was great and kept me wanting to read more! 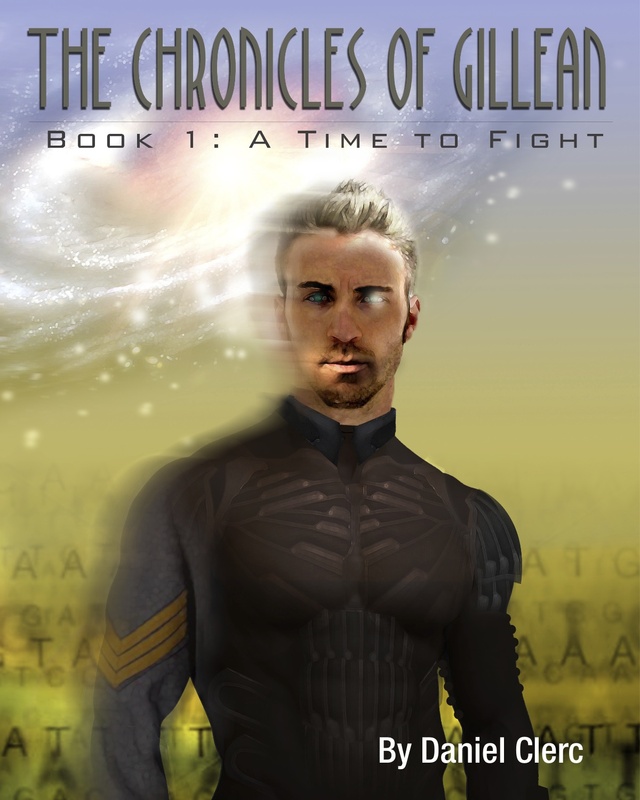 This is a riveting story of a quintessential special ops soldier thrown into the future where freedom is stifled by an oppressive and evolved government. The same government he used to serve and dedicated his now destroyed life to. The story starts when a mangled Lt. Col. Jake Gillean materializes in the 24th century and is investigated by a ruthless and sadistic interrogator, Ben Murray. The more Ben learns about this mysterious hero, the more the plot thickens into various little plots that unmask a greater evil. The book takes you inside Jake Gillean’s picture-perfect past then slowly elucidates how this once impeccable soldier turned out to be the cold and ferocious warrior he is, who will stop at nothing to discover his past and rectify the future that is now his present. All this while battling his inner demons. I find that the appeal of this book is in how well thought-of the plot is and the realistic potential of the setting. I am a fantasy novel afficionado who has read books from Tolkien to George RR Martin to Joe Abercrombie and I must say that it’s hard for me to pin this book’s genre accurately. I can say though that this is not one of those time travel books you find in the young adult section of a bookstore. The proverbial battle between good vs evil you find in most fantasy books occur in two levels here: The world that the protagonist is now a part of, but also in his head where he battles much greater demons. At first glance the story unfolds rather slowly but then you realize that the author -with detailed historical and medical facts- painstakingly lays down the setting and how it came to be so that there is no room for scrutiny. The characters are dark. The book incites multiple emotions of anger, empathy and a thought-provoking response in the reader. I find myself anticipating when the hero would just let loose his fury and start inflicting serious damage. I believe this is the first of a series and I can foresee how the second book’s pace would be even more frantic and foreboding. Kudos to the author! I highly recommend this read. I bought this book because I wanted to try something new and then found myself hooked from the beginning. There’s a little set up after the first few chapters for a complex story but then it takes off like a bullet. I really didn’t want to put it down. I was excited and found myself rooting for the characters. I want to know what happened to Jake to make him the way he is. The suspense of not knowing and having it pieced together is such a unique and masterful way drove me crazy. If an author wants to pull emotions out of a reader Clerc certainly did that. I’m sure his ears burnt as I cussed him. I expected a sci-fi novel but I was surprised to find so many conflicts in each of the characters that it made the story read like a thriller. The story captures so many issues in the future that are true for us today. It’s fighting, military, political intrigue, history, and scientific advances all coming together and playing out against the human spirit. Makes me want to go out and fight for something worthwhile. I’m usually hard to please and disappointed but this is the only time I have really been excited about a series. I can’t wait for the second book! 4. I couldn’t put it down. I purchased this to read on a flight and I didn’t want to stop. I was pulled into the conflict and could hear the explosions, feel the reverberations of battle, and smell the terrible smells. The author has an way with words that made everything real.It’s more than a war story. This is a deep story about life and human passions, ethics and technology. It is set in the future but pulls alot from history. I found it enjoyable to think about how the conflicts fresh in our lives will come to be regarded 400 years in the future. The book also flashes between time periods in a captivating stroyline. The plot also involves the Civil War. That part kept me on the edge of my seat. Can’t wait for the second book to be on the market. I could tell the author is a doctor because of some of the words he uses. But it’s not even close to being over the top with jargon. He did a good job creating a world that’s real – avanced technologies of the future that is realistic and absolutley conceivable. Nothing silly like shrink rays and warp speeds. For anyone who knows anything about history and liberty and freedom – you will love this book. Beware of FASCISM! We need more American heros like Lt. Col. Jake Gillian. A very exciting guy book. I can’t wait for book two to come out.